Classical Turkish arts of Islamic origin survived the negligence and prohibition of single party rule in the early Republican era and still live today. In particular, Turkish classical music, including both royal and mystic genres, has not only a wide domestic audience, but it has also spread abroad through festivals and international concerts. Among Turkish classical music genres, mystic music originating from the rites of the Mevlevi Sufi order has attracted worldwide attention. Indeed, the Mevlevi rite is a compact event including music, prayer and ceremony. Beginning in the 1950s, thanks to the political softening against Islamic and Ottoman tradition, Mevlevi rituals have been performed publicly. During the late 1970s, Mevlevi musicians started a new phase in the history of their music genre. Nezih Uzel, a dedicated conveyor of the traditional genre, once complained about the fact that Mevlevi music was presented to the audience as mere folklore. He thought that Mevlevi music should be performed separately to survive. So, he and Kudsi Erguner, a young virtuoso at that time, recorded an LP in France, "Turquie: Musique Soufi," in 1977, which is considered a milestone in Mevlevi music's becoming a worldwide genre. This early recording pushed the young ney (reed flute) player, Kudsi Erguner forward as a "world musician." For more than 40 years, Erguner played his ney all around the world on many occasions. His sentimental, deep and dignified style helped the ney sound become one of the top sounds in world music. Kudsi Erguner was born Feb. 4, 1952, in Diyarbakır, to an artistic family. His grandfather Süleyman Erguner was a muezzin and ney player. Süleyman taught his son Ulvi how to play the ney, and Ulvi taught it to his sons Kudsi and Süleyman later. Grandfather Süleyman Erguner was a public servant working at the Official Tobacco Institution, while Ulvi Erguner was a military officer. Though Süleyman played the ney only for the sake of tradition and love of music, his son Ulvi managed to play in the Military Band. However, ney playing stayed as an unofficial family tradition until Ulvi Erguner retired from the military and began working at TRT (Turkish Radio and Television) Istanbul Radio. He started Sufi music shows at the station in 1974. The third generation, namely brothers Kudsi and Süleyman, adopted the family tradition as a profession, too. Both are known for their virtuoso ney playing and have been invited to show their talent around the world. Kudsi initially received his music education from his father. As a young boy, he joined Mevlevi rites. He once said: "There is no start point for me to the music. I was born into it. My family has been within a small circle of musicians playing traditional Ottoman music." He rejects the distinction between Ottoman royal music and the Sufi music tradition. He suggests that all are branches of one single tradition. "Because there was no dichotomy in the Ottoman tradition such as liturgic and secular." Kudsi sees music pieces composed and performed by non-Muslim Ottomans such as Hamparsum Limoncuyan as true parts of traditional Ottoman music. Mevlevi tolerance has never differentiated between Muslims and non-Muslims. Kudsi Erguner began his official musical career at TRT Istanbul Radio in 1969 while enrolled at the Italian High School in Istanbul. In his memoirs, he says that the Western environment at the school and the traditional home atmosphere caused confusion in him. Later he left the Italian High School and graduated from Pertevniyal High School, a Turkish school in Istanbul. He would stay between the East and the West for the rest of his life, especially after he moved to and settled in Paris in the early 1970s. Erguner studied architecture and musicology at university, and later received Ph.D. degrees in both disciplines. His knowledge of musicology contributed to his music since he studied the roots of Ottoman music tradition. contributed to the initial Mevlevi music recordings mastered by his father Ulvi in 1970. He played with Aka Gündüz Kutbay, one of the modern legends of Mevlevi music. Kudsi played and recorded with great Turkish musicians, including Çinuçen Tanrıkorur, Münir Nurettin Selçuk, Nevzat Atlığ, Kani Karaca, Bekir Sıtkı Sezgin and Müzeyyen Senar among many others. Kudsi worked for UNESCO as well. His duty was to master the Turkish classical music archives as a UNESCO official. Meanwhile, he made many recordings and performed in many international concerts. He once played in front of the Taj Mahal in India as part of a tolerance project. Kudsi joined the World Music stream as the only Turkish member. He played and recorded with such prominent World Musicians as Peter Gabriel, Jean Michel Jarre, Tony Gatliff, Nusrat Fateeh Ali Khan and Anwar Brahem. However, his position in World Music is not the situation of a true believer. He says: "When you add some curry powder to hamburger, this does not mean that you make a true Indian dish. This is just a hamburger with some curry in it." He does not embrace World Music as a new genre. He also has disdain for the New Age. His involvement with World Music events shows that he saw these events as opportunities to present traditional Ottoman music to the world audience. Indeed, Kudsi always sticks to the traditional style of ney playing. He has never altered the way he plays. On the other hand, he has a very personal style that anyone can recognize. 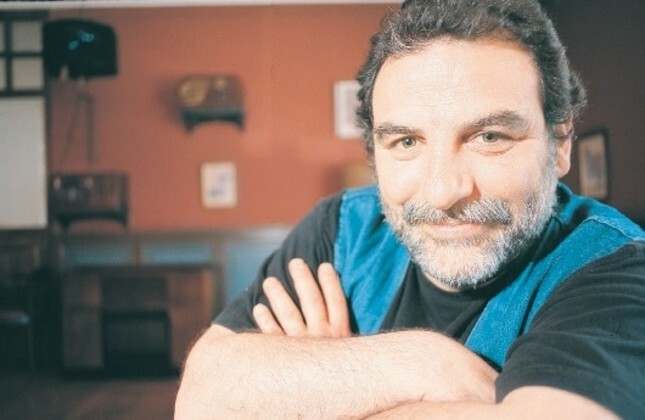 c as personal, but he thinks people adore the Ottoman traditional music he plays, which shows his humble character. He does not like to present himself as a Mevlevi virtuoso and blames those who present him in that way.